Whether you’re new the working world or you’ve been in a career for twenty years, money is always a worry at the back of everyone’s mind. We rely on it for every element of our lives, so it’s no wonder that it gives most of us sleepless nights. Most importantly, there seems to be no unified answer as to what the most sensible thing to do with your money might be. There’s no holy grail of advice in terms of protecting your funds in the smartest, safest manner. We’re all stumbling in the dark and hoping that we’re keeping our financial future as bright and sunny as possible. Adult life is a whirlwind of emotion, and nobody has definite answers. 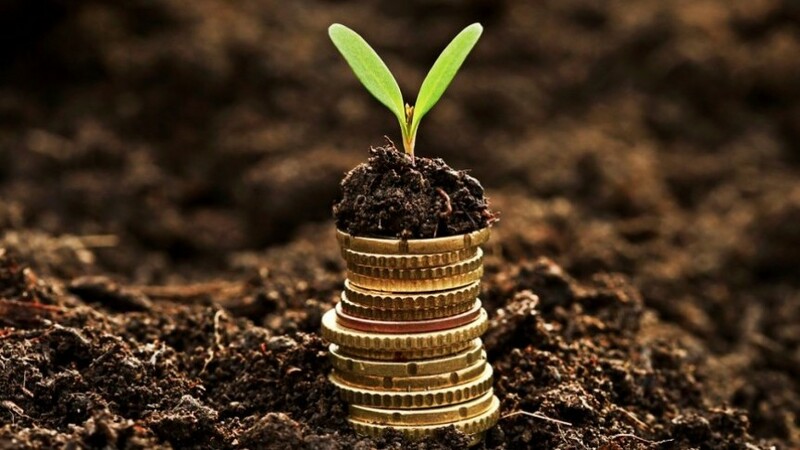 Still, if you’re feeling a little lost with your funds, whether they’re sizeable or small, then here are some tips which might help you better protect your money in order to bring about some sunnier days in the future. The smartest piece of advice I can give you to look after your money is to watch what you spend. You need to pay for rent, utilities, food, taxes and a whole host of other fees which are unavoidable, but after all that, everybody has some disposable income left over. Some people have a lot of disposable income, and some people have a very small amount. That isn’t what matters. What matters is how you choose to use those spare funds each month. Spending your available cash on clothes, nights out or other treats isn’t necessarily a bad thing, as life is for the living, but spending all your disposable income every single month isn’t the wisest use of your money. You should be setting aside at least ten percent of your income every month as a safety net in case of an emergency, but perhaps also for a savings account. This may seem like a strange suggestion for somebody looking to safeguard their financial future, but the smartest thing to do with your money might be to create further financial opportunities out of it, rather than letting your funds sit around and gather dust. You could look into real estate options, for example, if you’re somebody with the right drive and passion to turn a small amount of money into a sizeable enterprise. 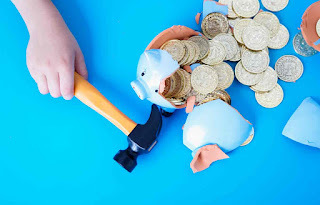 Perhaps you could even take some of your money and put it into an ISA, as that’s looking like a very smart financial option for young people at the moment; the government can help you turn your meagre funds into something substantial for a house in the future. Money is something which does more than pay the rent and utility bills. It could set you up for a smarter future if you do something with it. Protecting your money doesn’t always mean hoarding it in a bank. Take advantage of special deals. It’s not cheap or tacky to take advantage of freebies or great offers. If you want or “need” some new shoes, then it doesn’t hurt to exhibit some patience and search around for a great deal. If you like to go to the cinema, then it doesn’t hurt to use vouchers or head there on certain days when the best deals are on. Buying a subscription to Netflix rather than paying for individual films or TV shows is another popular option for most households now. The point is that it’s fine to treat yourself, but it’s also fine to take the cheapest route towards doing so. This is the final and most important piece of advice. You can control your spending, but you can’t control necessary external costs such as taxes. You should be striving to cut down your costs every day and always plan ahead with regards to your finances. Never exceed your means and you’ll never end up in debt. Weeks off work due to illness can take its toll on your finances. Statutory sick pay can often be minimal and if you’ve been used to running a household on higher wages, debts can start to build up. Keep yourself and your bank balance healthy by trying out some of the following methods. If your job is largely phone and computer based and you’re not too ill to deal with the associated stresses, your employer may be able to help you arrange a way of working from home. Even on a part-time basis, you may be able to rack up more money than you would have on statutory sick pay. Of course, if this is not an option, there are other methods of earning money from home. Survey sites are an easy and stress-free source of extra money that involve you filling out surveys for money. There are blogs meanwhile that pay you for writing pieces. Have the know-how and you may be able to write a piece for one of these blogs. Sites such as Fiverr and Craigslist meanwhile are great places for offering any kind of service you can think of for money from restringing someone’s guitar to managing someone’s social media for them. Any skill you have can be advertised online and charged for. Just make sure that you aren’t doing anything to physically and mentally exertive that may affect your recovery or make you more ill.
You may legally be entitled to some other form of money, especially if your illness is due to injury or sickness that wasn’t your doing. You can find specific injury law firms such as The Brown Firm that can handle such claims. Examples may include being injured in a car accident, falling on a slippery floor somewhere that wasn’t mark or being made ill through medical negligence. You may also be able to sue your company if you were injured at work. However, this can be risky if you work for a small business, as it could affect your relationship with your employer. Such legal action is best reserved for large corporations that are protected with insurance against such claims and will be more likely to pay up due to the impact on their public image. Advocacy programmes can help those in need with medical advice, largely existing to help with complex medical decisions that the patient may not be in a position to make. 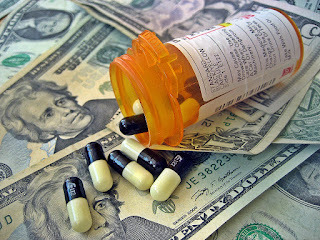 However, advocates can also help you if you are financially in need and cannot afford medical bills. If you believe you have been wrongly billed by a hospital or an insurance company, advocated may be able to better negotiate costings. They can also find the most cost-effective treatment plan within your budget, which may involve calling around various hospitals and social services. This could help make the recovery process overall much less costly. Some people don’t like to admit that they are in financial hell. They live from paycheck to paycheck and usually have no spare money to pay for any “unexpected” bills. And when they do want something, they’ll just pay for it with a credit card and not think about how they are going to pay it back! There are many reasons why some of us end up in financial hell. While it’s true that a few people are just reckless with their spending, some end up broke through no fault of their own. For instance, they might have got laid off from work or had a life-changing accident that stops them from working again. Once you’ve spent your pay on bills, groceries, and other items, how do you pay for anything else until your next paycheck? If you’re just using credit cards as a secondary source of income, it’s likely you have entered debt hell. Do you spend your time just paying bills that you get without knowing how much you owe on them? If so, you’re just hiding away from the fact that you’ve got an enormous financial problem that you need to deal with. Let’s say that you do recognize you have a debt problem and so you thought the answer was to earn more money. But, despite doing overtime at work or even taking a second job, you’re still paying out more than you are earning! Having weighed up the gravity of your situation, you just can’t figure out a good solution to your financial problems. Well, other than filing for Chapter 7 bankruptcy, of course. Do you have sleepless nights over your money worries? 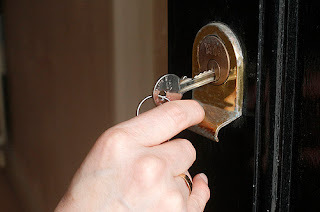 Do you worry about “the repo man” knocking on your door to collect your worldly goods? And are you seldom happy about much these days? Those three points alone prove that you’ve got a debt problem you need to resolve. As you can appreciate, it’s crucial that you have a roof over your head. Without a place to call home, you’ll find it hard to get a job and move on with your life. If you struggle to pay your mortgage or rent on time each month, you’ve definitely arrived at financial hell, I’m afraid to say. 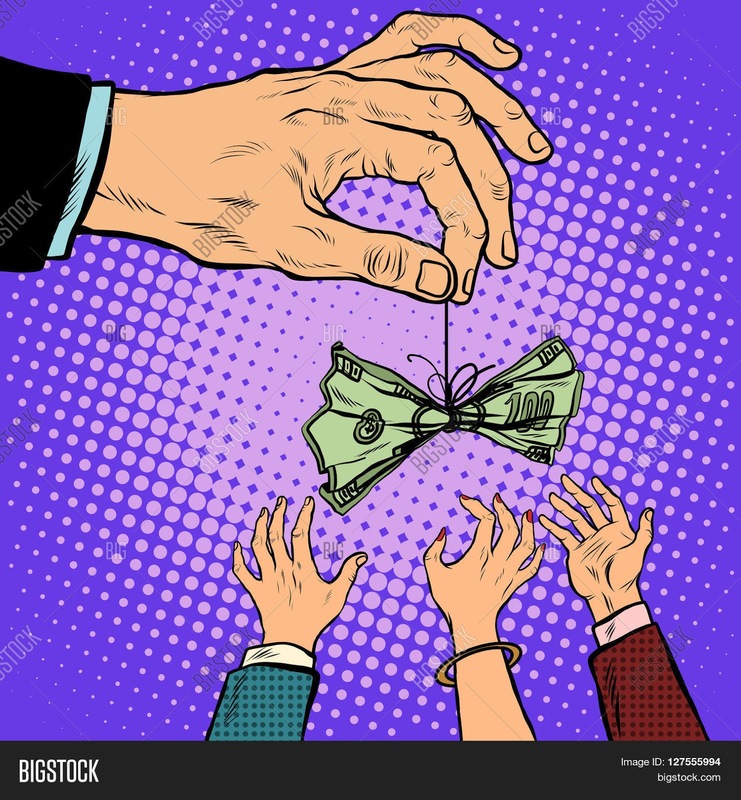 Arguably the biggest telltale sign of financial trouble is when you do some “creative accounting” by borrowing from one creditor to pay off another’s debt. If one or more of the above statements rings true to your situation, it’s important to seek some professional debt counseling. We often think of jobs as what brings money in. And, of course, that’s what they are - but people don’t think enough about how much their job actually costs them. Your salary may look good, but when you consider all the costs that come with having that job, you may realize that your finances aren’t as strong as they once looked. This is often the first thing that people think about when the subject of job expenses comes up. It’s a particularly big problem for people who are working in big cities, where public transport can add up to tremendous amounts per month. Of course, some places are cheaper than others - if you think traveling around New York City is expensive, then you haven’t tried traveling around London - but there’s no doubt that these costs really do up to. There are few companies out there willing to reimburse you for everyday commute costs, so your daily commute is something you’re going to want to deduct from your monthly pay when it comes to planning your finances. 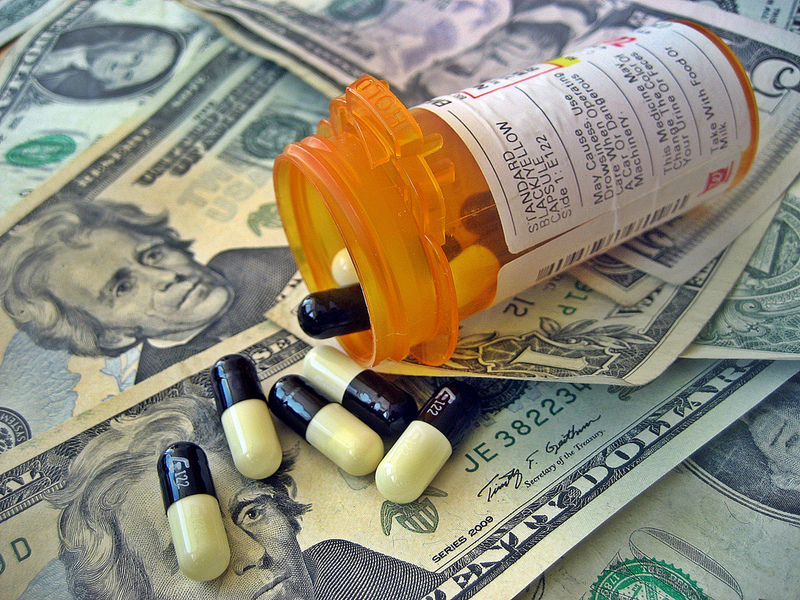 While these hardly contribute to everyday costs (and if they do then you may want to consider a different line of work), they’re still worth baring in mind in states when medical care can take a huge toll on your wallet. Injuries in the workplace are more common than many people think, and I’m not just talking about the likes of construction work - even office jobs see injuries more frequently than many would guess. If you’re injured at work, then you may want to seek compensation to avoid having your personal finances harmed. 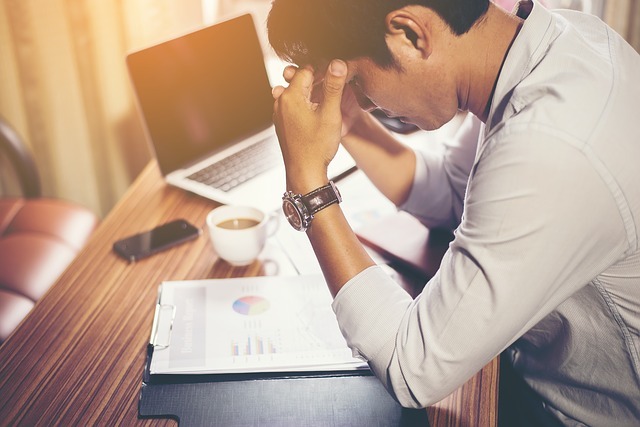 You could seek it through means of insurance or your company’s HR department, but it might be a case of seeking outside means of getting advice after an accident happens. A lot of careers these days come with healthcare and pension plans that may not work to your benefit as much as you think. For employers, they’re often a great way of providing incentive to avoid leaving the company. They’re the ones who end up choosing these plans for you - and the plan that works out best for the company, from a financial point of view, may not necessarily be the best for you. Companies aren’t allowed to compel their employees to stick with certain plans, so you should review just how much benefit you’re getting from those plans and seek others if you feel you need to. If you’re working in a big city and don’t have much time to prepare your own meals, then the chances are you’re going to have to take advantage of one of several food outlets that probably surround your company’s building. The problem, of course, is that these are expensive. Over the course of a month, you may be shocked to see how much of your money is being spent on food. The solution, of course, is to prepare your own lunch at home and bring it in. Many workers feel pressured to go out and eat because that’s what their colleagues are doing - but when you think about the total costs, it simply may not be worth it. When Donald Trump went to Atlantic City, he spent nearly half a billion dollars on hotels and casinos. He, like many other people, believed that the city would become a new commercial hub for the twenty-first century. Unfortunately, that never materialized, and Trump realized that the whole thing had been a mirage. There was no real value in Atlantic City, just a bubble waiting to burst. But ever the fighter, Trump looked for ways to turn his misfortune around. Yes, he was down, and several of his companies went bankrupt, but he wasn’t out. He used the laws as they stood to write off his debt and start out again, rebuilding his business in the process. Before he fought the election in 2016, Forbes estimated his net worth was more than $4.5 billion. Trump put his own worth at closer to $10 billion. Trump isn’t the only person to have turned a situation around. Steve Jobs, another titan of the business world did the same thing in the early 2000s. Mac’s market share had been slipping for more than a decade, thanks to the ubiquity of the Microsoft Windows platform under Bill Gates. It’s hard to believe now, but Apple were looking very weak after the Dotcom bubble burst, and many thought that the company wouldn’t make it. 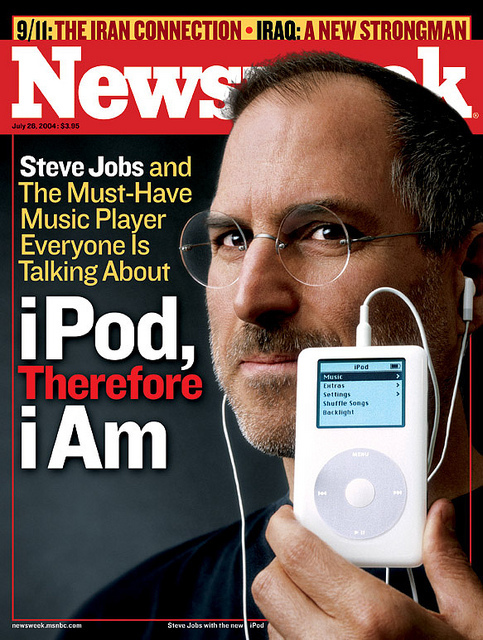 But Jobs, the marketing genius that he was, realized that it was now possible to build a device that would store music in the form of MP3s that could replace the traditional personal CD player. Soon the iPod was born which provided the revenue that the company needed to market its brand, expand its Mac lineup and build the world’s first smartphone. What can we learn from Trump and Jobs about turning our own finances around? When Trump’s businesses in Atlantic City failed, he didn’t want them to bring down the rest of his real estate empire. As a result, he used the bankruptcy laws as they stood to protect the rest of his wealth from the fallout when they went under. According to Hastings Law Firm, regular people need to do the same. They need to think of the law as a tool that can help them in times of misfortune. There are all sorts of ways that misfortune can affect personal finances, like medical negligence, and yet too few people take action. Both Trump and Jobs were opportunistic when turning their finances around. Jobs, for instance, saw that technology was changing and that his company was in the ideal position to take advantage of it. He had all the networks he needed to build a new device that would set the market on fire. He saw what was coming and decided to take the risk. We can do similar things in our own lives. The world isn’t a static place. New opportunities emerge all the time. When some of our skills become less valuable, others become more valuable, opening up new job opportunities in different areas. Nobody expects to lose their job but it can happen to anybody. As we’ve seen in recent years, a sudden financial crisis can lead to redundancies on a huge scale. While you may be awarded a severance package, this might not last very long. You could find yourself running out of money before you have managed to find a new job. If you are not in a financially stable position, you could risk massive amounts of debt or even bankruptcy, leaving you struggling to survive until you can find more work. There are ways that you can avoid this, and cope with job loss. When you are in work and your finances are in a healthy state, it is a good idea to start planning ahead. Putting a small amount of money aside out of every paycheck will help you build up a strong savings account. In future, you may be able to use this money for something different, but it will give you a vital buffer if you do lose your job. Whether you have a severance package or not, having a lump sum of money to pay your expenses while you find a job means that you don’t have to rely on credit cards and loans to survive. If you do not already have a savings account, click here for information on the best ones that are available at the moment. If the worst does happen, having a good plan is vital. Now is the time to assess your finances and work out exactly how much money you have. Draw up a budget that includes every single one of your outgoings. From here you can work out exactly how long you have until that money runs out. Putting a time limit on yourself will help to motivate you when finding a new job. When you draw up your new budget, you will have to cut costs. Eliminate any of the luxuries that are not completely essential, you can always add these back into your budget once you are earning again. A few simple ways of cutting costs include switching off electronics and lights when not in use, and buying in bulk at the grocery store. Many of us are too proud to ask for help. Unfortunately, if you have followed the previous steps, and still find yourself in serious trouble, you might have to. The government offers help for people in your situation and, if you have been working previously, you should be eligible. It might hurt your pride, but there is no shame in asking for a bit of help, and once you are working again you will be repaying the money you have taken out. To find out exactly what you are entitled to, visit https://www.usa.gov/unemployment. Unemployment can be difficult. With the bills mounting and the money running out, it can be easy to panic. But you need to avoid this at all costs. It will only impair your efforts to find a new job and make the situation worse. There are a number of ways you can manage stress, including exercise and healthy eating. If you follow these steps, you should be able to tackle a job loss head on and come out the other side in a stable position. The problem with money is that it’s no good if you don't keep you eye on it all of the time. In fact, if you don't watch your finances they can easily get out of control, causing you a lot of hassle and stress. So make sure that you keep your finances under control and in hand by following the tips below. Really, the number one rule to make sure that your finances don't get out of hand is to not borrow more than you can afford to comfortably pay back. It really is the comfortable part that matters most here. 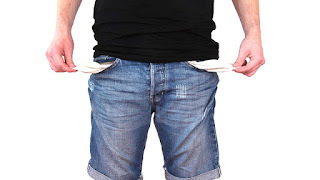 That is because you can find all sorts of institutions that will lend you vast sums of money, but your standard of living will be compromised if you have to spend most of your budget on paying back loans every month. 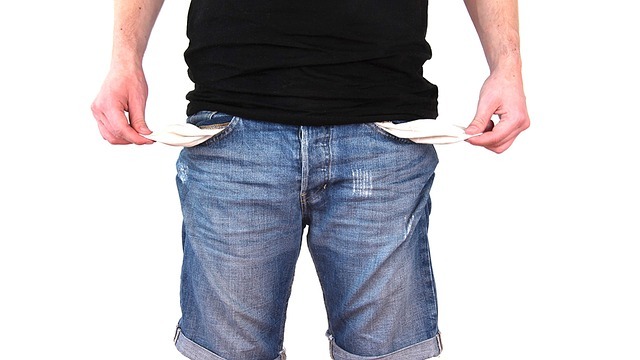 Remember, you need to have enough money to go on the odd weekend away, buy clothes and have a few nights out. Or all you will be doing is working, and that is not a recipe for a happy life. 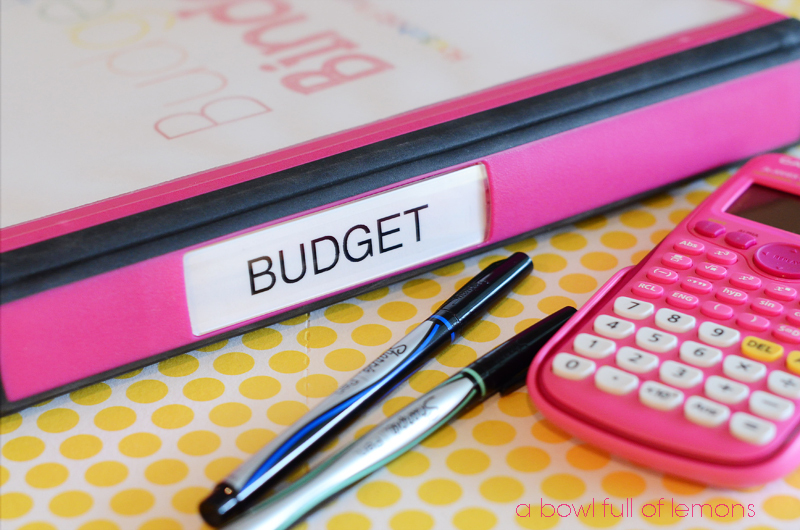 Next, to ensure that your finances don't get out of hand you have to keep yourself organized. That means knowing exacting what is coming in and what is going out every month. It also means logging what you have spent and checking that everything totals up at the end of the month. It can also help to have information on what you owe and are owed to hand, so it's easy to keep control of everything. Also, if you are self-employed your finances can become even more complicated. So it's crucial to keep clear records for when it come time to file your tax returns. You can do this by using specially designed software. Which is better than just hoarding all of you recipes in a carrier bag under your desk! Another important part of being on top of your finances is making sure that you claim what is owed to you. This could be in the form of a pension, compensation won for you by an injury lawyer or event benefits such as working family tax credits and the like. Why struggle, when there is money out there that is rightfully yours? That is just crazy! Lastly, a vital element of staying on top of your finances, is realizing that unexpected things are going to happen, and you will need money to cover these. That is why is a great idea to put at least 10% of your salary every money into an emergency fund. Then if you get sick, or lose your job, have to move, or even have a baby, you will have a nest egg to keep you safe and comfortable. It also means you won't have to go into debt to pay for these things, which is where things often get out of hand. Investment Is great! But, Why Bother? A lot of people talk about investments as if they were a gift from God. And, of course, they are great. But, what exactly makes them so good? Lacking this knowledge can be a setback when it comes to thinking about investments. It will make it harder for you to stay motivated when it comes to topping up and maintaining your investments. So, it’s important for you to consider this when you’re choosing whether or not to invest. To help you out, this post will be going through some of the reasons you should be investing. All you have to do is choose your investment! Investments can be a great source of side-income once you’ve started to establish a career. Every little helps when you’re trying to set up a life for a growing family. So, having a little bit extra each month could be a great benefit to you. If you want to make money like this, you have to choose the right sort of investment. 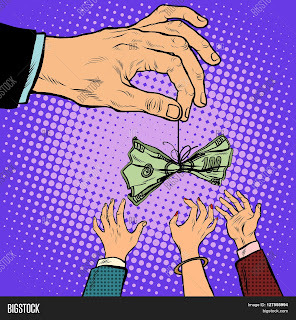 At the moment, peer-lending is becoming very popular. It allows investors to fund loads for individuals and businesses; instead of the bank doing it. You can get a fast return on something like this. And, you will be very secure in doing it. Some people prefer to wait a while longer before they invest, and choose to buy a home to rent out. This will generate a lot more income. But, it will also cost a lot more in time and money when you first start. For some, investment isn't just to make money; it’s to secure the money that they already have. In the modern world, it’s easy to lose or spend money very quickly. But, when you have it secured in a risk-free investment; you don’t have to worry about it. Some of the best sorts of investment for this are properties. You get something physical for your money. And, it will be unlikely to lose too much value. Other investments can be good too, though. 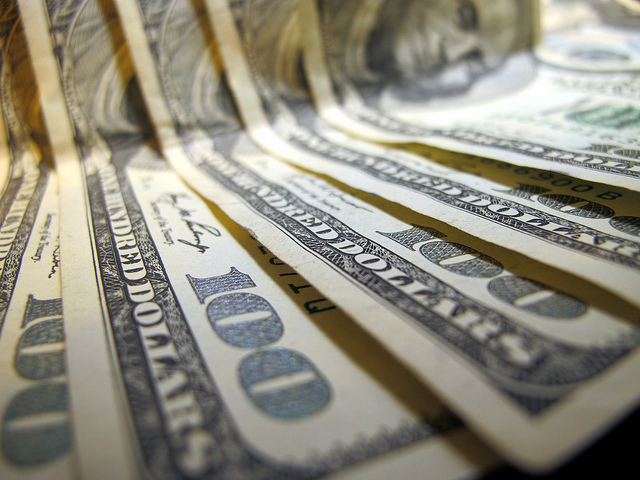 Government-backed bonds can be a great way to secure your money. They will have a generous interest rate. And, they will be insured by the government. This means that there would have to be some very serious problems for you to lose your money. Having large investments that are always making money gives you a lot of security in the future. It can enable you to retire early. Or, to support your kids as they grow into adults. A lot of people find that passive income is the best way to relieve stress about the future. It will give you peace of mind that you will be safe in times to come. And, it could even give you a legacy to pass on to the younger members of your family when you pass. Before choosing anything like this, though; you should make sure you have the right kind of help. A company like Blueprint Wealth financial advisors can help you to make sure that you make the right investment choices. And, they can even help you to find options that you wouldn't have otherwise explored. Hopefully, this will give you a good idea of what some goods investments can do for you. These sorts of decisions can secure your life in the future. It will make the years to come much easier. And, you will thank yourself when it times to retire. There will undoubtedly come a time in your when you’ll need an emergency fund: a stash of cash to fall back on when times get tough. But with income so stagnant and the price of everything going up all the time, emergency funds can be hard to build. What it requires is a little “aggression” on your part to make it work. It’s not something you can just do without any effort. It takes commitment and a willingness to sacrifice, as well as some prudent financial planning. Around 50 percent of people couldn’t write a $500 check tomorrow, even if they had to. So here are some ideas about how to build up an emergency fund. The best thing to cut from your monthly budget is dining out. It adds nothing to your life except extra pounds around your waist. A much better idea is to start making yourself the same balanced meals every day for breakfast and for work. Start off the day with something wholesome, like oatmeal or muesli with some chopped fruit. Then for lunch, cook up a big bean and veg stew on Sunday night and take it to work in a lunchbox for the rest of the week. The average person spends more than $80 on food in the course of a typical week. But if you live simply, you can cut that bill in half, saving yourself over $160 a month. Being in a financial emergency is not a lot of fun. But it is something that happens with surprising regularity. You could be out of action for all sorts of reasons, but the main reasons often aren’t your fault, especially if you’ve been injured. Talk to a personal injury lawyer. If they’re good, they’ll be able to help you claim back the money you’ve lost, boosting your finances in the process. The average settlement for people who have been injured at work is around $25,000. Cristin Jordan is a mom from Jacksonville in Florida. Not having any emergency savings used to keep her up at night. As a result, she began trying out the so-called “exponential savings approach.” The idea behind the approach was simple. In the first week, she saved $1. In the second, she saved $2. In the third, she saved $3 and so on. As she kept adding a dollar to her total savings each week, she found that her money was going up and up. By the end of the year, she had more than $1,100 in the bank, more than enough to pay for an emergency out of pocket. Sometimes many people spend money out of habit, not because they have to. For instance, some people take regular trips to the grocery store on a Saturday, just because that’s what they’ve always done, even if they don’t actually need any food. Be honest with yourself about whether you need to blow $100 on groceries or whether you can live off the food you’ve already got. Who doesn’t want to be confident in their financial future? Everybody wants to be able to know that things will work out, and that they won’t need to worry in years to come. Of course, in this life there is no such thing as a sure thing, but there are a number of useful things you can do to ensure that your finances are in the best possible position for the future, and for the present too. In this article, we are going to look at a few key practices which are bound to help you make the most of your finances and keep you in the best possible position. Let’s see what they are, and what they are likely to look like in practice. This is something which you can do from today, which is incredibly simple to do, and yet might be more important than anything else which you take away from this article. Budgeting yourself is very often the difference between success and failure in financial terms, and yet so few people do it right. If you are keen on improving your finances as much as possible, then drawing up a budget at your earliest convenience is going to be one of the best things you can possibly do. The great thing about budgets is that they make everything as clear as day - and that is what you need in order to make the most of your finances. Being honest with yourself about your situation is the way to progress. If you are after some real peace of mind, then you might even want to think about getting insurance for your money. There are a number of types of insurance which you might want to consider, and part of the process will be choosing whichever are best for you. However, be sure not only to think about yourself, but your children and grandchildren too. Getting survivorship life insurance is a great idea if you are keon protecting your future family from money woes, so that might be worth looking into. Alternatively, you might want to get life insurance too - and it is always a good idea to make sure you have drawn up your will as well as possible. Everybody can save, even if you don’t think you have enough to do so, chances are you’re probably wrong. Even just putting aside a tiny amount each month is better than nothing, and in time that will soon turn into more and more, and before you know it you will be in a much stronger position than ever. 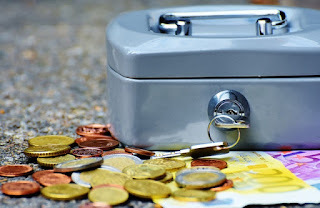 Saving is a simple case of putting it aside somewhere safe - you don’t necessarily need a savings account, although sometimes they can be of great help. The important thing is that you are making the effort to save something, no matter how littler. This is something that will set you up for being in a great position in the future. 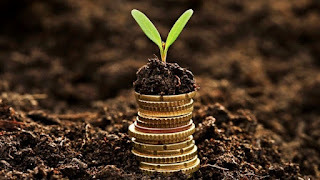 If you are a newbie in the stock market, here are seven tips that will make such investment profitable. There are no guaranteed returns when you invest in the equity markets. There is always the possibility that your entire investment is lost. Therefore, it is advisable you do not invest money that is required for your financial stability. At the time of placing the order, you may choose market or limit option. A market order is immediately executed at the current rate. On the other hand, a limit order allows you to set the price to acquire or sell the stock. This allows you to remain in control of your investment. A common mistake made by investors is trying to find stellar stocks that provide high returns in a short period. Finding such stocks is almost impossible; it is recommended you choose companies that will deliver good returns in the longer term. 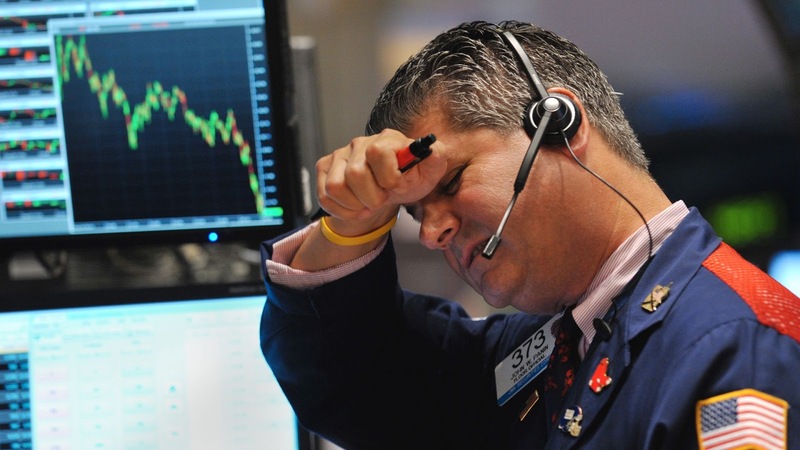 The world is a global place and even a small bit of news can affect the stock market and indices today. In most cases, the daily news does not drastically affect the long-term performance of companies. Therefore, it is important you analyze only relevant news and make informed decisions based on these. It is prudent to spread out your investment over a period of time. This will safeguard your investment against significant price decrease due to some instances, such as not-as-expected earnings report. Furthermore, you must accumulate several stocks by using your investible surplus to create a diversified portfolio. 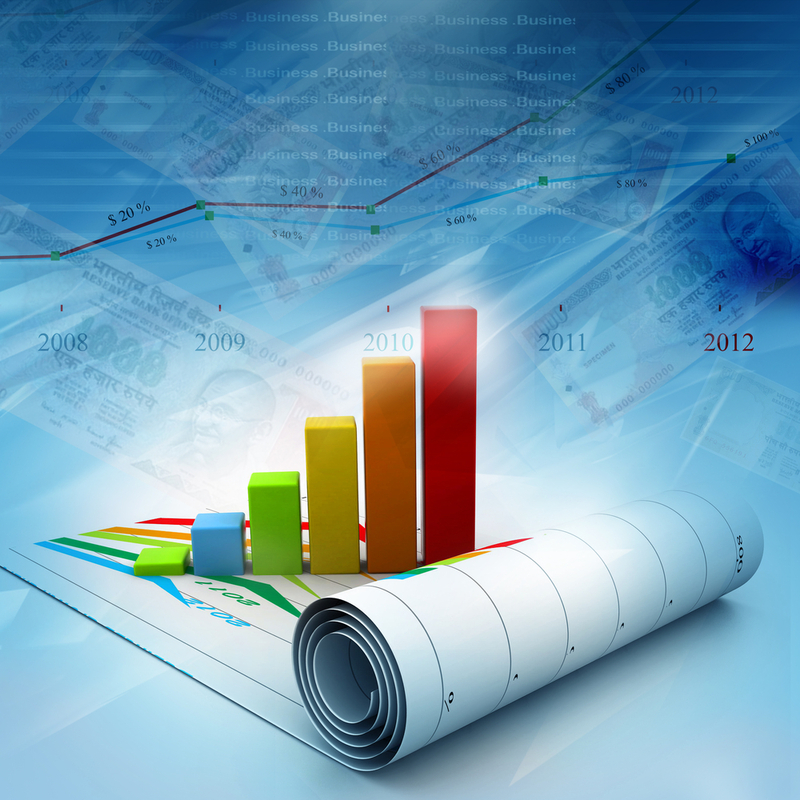 Regularly monitoring and reviewing your portfolio is prudent. It is recommended that you modify your holdings if one stock comprises more than one-third the value of your total investment portfolio. This means you must sell such stocks that have a higher value and purchase other shares that still have potential to grow. Investing in the stock market may make you wealthy only when you book profits. It is very common that you may want to continue holding to a stock because of the price increase. However, you must remember that no stock can grow for an indefinite period. You must keep a price target and once this is reached, you must book the profits. Stock market investing is easier than you may consider. You may use the aforementioned tips to take control of your finances and build wealth over a period of time. Lots of people decide to move away from their hometown, or an area which they have lived in for a long time, for the opportunity of a new career elsewhere. People do tend to become static and they carry on with the same routine, day in, day out, when they have lived in an area for a long time, or even if they have worked in the same job for a while. Everyone needs a positive change at some point in their lives, and it just so happens that a lot of people choose this aspect to be an adjustment in their career. It can be difficult moving away from the area in which you live to begin with, so it is important that if you are thinking of moving away to start afresh in someplace new, that you put the research in and ensure that the area in which you are going to move to is right for you. A really important aspect of moving away is enabling yourself to get a home which you will feel comfortable in, and that you can afford the home which you would like when you move away. If you decide to move somewhere then obviously you will need somewhere to live, so that should be at the top of your to do list. You could research house prices online, or even travel to the area to search for localities which you would like to live in. It is always a good idea to actually experience the area before you move, rather than simply deciding to jump ship and heading there without a knowledge of what the area is actually like. To be able to finance a new home, you will more than likely have to sell your old home. To do this, look up reputable agents and decide which companies you would like to work with. Sometimes, the amount of assistance you can get to sell your home may be unbelievably good, but remember - when companies say we buy houses, they mean it! Take advantage of all the assistance you can get, and you will be able to get your money’s worth. When deciding on a new home, take into account of all the different aspects which will be required to meet your needs. For example, if you are moving away with your family, you will need to ensure that the homes you are viewing are suitable for your family: are there enough rooms? Is there enough space for everyone to live comfortably? Is the back garden a decent enough size for it to be used properly by everyone? If you are moving on your own, though, you will have a bit more freedom and can take a look at any type of property which will fit your needs. However, you will still need to remain focused and do not allow yourself to be swung into buying a property which is out of your budget - make sure all aspects of the property are in the best state and in a good area and then you can go from there. Have you fallen in love with a particular resort, got a little bit of extra money to spend, or you’re just dreaming of setting yourself up for retirement in a wonderfully warm climate? 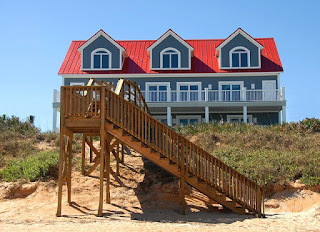 Maybe investing in a vacation home is the right plan for you. You might even be able to make a little bit of extra cash along the way. 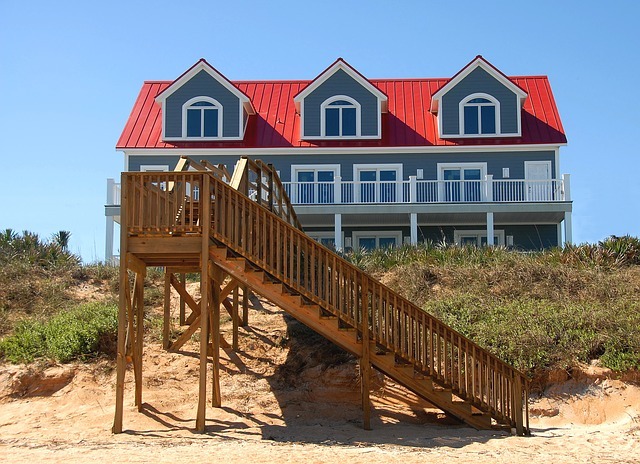 Here’s everything you need to know about investing in a great vacation home. If you haven’t already got your heart set on a location or even a particular resort, it’s worth doing some research on locations. There is a reason that areas such as Palm Beach Florida are so popular for vacation homes - they get great weather all year round, and the area is made for it. 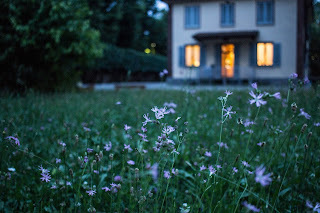 Choosing a home which is only amazing for one season - the one you’ll spend there - means you could lose out on all the rental opportunities during the time that you’re not there. If you want to make a bit of money back on your home, choose a home with great rental prospects. Yes, you might want a home out of the city, with no internet or cell phone reception, but the chances are that whoever wants to stay in your home when you’re not in town will want access to these amenities. Make sure the home is attractive to vacationers - right on the beach, plenty of beds, and an easy walk to all the fun things your location offers. Once you’ve chosen an area, you need to know what you can afford. You’ll need at least a 20% down payment, and don’t let your vacation home push you to the limit of what you can afford. Keep hidden costs in mind by overestimating your budget; there is no way to know exactly what realtor fees or maintenance charges to expect. Don’t allow yourself to be fooled into thinking that the property will pay for itself with rental - it’s impossible to guarantee that, and you could find yourself in hot water if renters aren’t forthcoming immediately. Selling a timeshare is tricky, even when the economy is strong, so you could end up tying yourself into something long-term that you don’t really need. It’s also an easy way in for scam artists, so unless you’re clued up on the art of timeshares, it’s best to avoid them at all costs. Many people are tempted to invest in a plot of land in which they can build their perfect vacation home, but actually, they could be setting themselves up for a fall. Building a home includes large amounts of upfront costs, and it’s difficult to coordinate from a distance. Then there’s all the restrictions, authorities, and planning permission required, which is all avoided when you buy an existing home. Finally, when you’re working from afar, it’s crucial that you employ a reputable agent who you can trust to carry out your work, and who also knows the area like the back of their hand. They won’t let you make a bad choice, and you’ll feel comfortable leaving them to it. Most families want to save some money on their household bills and are constantly looking for opportunities to do just that. 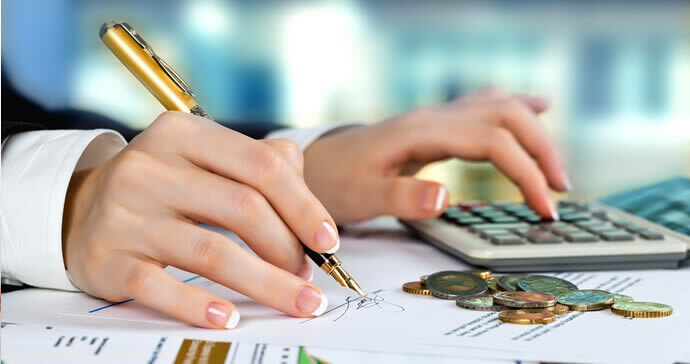 It is really important that you give your household expenditure a review now and again to make sure that you are getting the best deals on the various monthly direct debits that families typically have to spend. There are various ways to do this and this short article will help you to get started saving on your monthly household bills. Hopefully there might be enough saved for an extra monthly treat for the whole family! The first stage in saving money on your household bills is to look at exactly what you are spending every month. It may be that you easily identify some direct debits that you have forgotten about and that you no longer need. Make sure that you get on and cancel these which will be a great start. It's time to identify contracts that you are paying for that you may well be paying too much for. For example, you may have been with the same energy supplier for several years. Energy prices are changing all the time. A great way to assess whether you are paying much is to get hold of a copy of your latest bill and use a comparison website to check if you are paying too much and if you are able to change to a better deal. Once you have done it for your energy bills you need to repeat the process for all your bills where you may be paying too much. Typically, you need to think about reviewing your television, phone and broadband deals, as well as gym memberships, car and house insurance, travel insurance as well as your mobile phone usage. Mobile phone contracts are a particular monthly payment that people find themselves paying too much for. Mobile phone contracts are essential for most people in 2017. However, many of us are paying far too much for our phones. Phone contracts are also usually two years these days, which is a significant amount of time to be tied into a contract. When disaster strikes and you break your phone paying for a long contract can be especially painful. Therefore, it is really important that you spend some time looking at what you are paying. When you multiply your monthly payment by the number of months of the contract, it can be quite a shock! A great way of assessing your mobile phone usage is by using a specific website that looks at your mobile phone usage. This helps to assess your usage and tell you specifically the numbers of texts and minutes that you are using every month. This can help you to choose an appropriate phone contract. A quick internet search will help you find a suitable website that will help you to do this. A great way to find a suitable mobile phone deal is to think about having a sim only deal. This means that there will not be the cost of the phone to pay for in the contract. Therefore, a sim only deal can save you a lot of money over two years. That is of course if you are happy with the mobile phone that you currently have. There are now several mobile phone companies and not just the large ones. Many of the supermarkets have great sim only deals and the advantage of choosing these is that they are often cheaper than a contract with the bigger phone suppliers, but still use their networks. Hopefully, by following some of the advice above, you will find several ways to save some money on your monthly bills. This does require some patience to do, but can be very worthwhile. Perhaps think about setting aside a day to go through all your direct debits and try and find better alternatives. Or, you could choose to do one or two a week if you don't have time to put a day aside. Everybody are not made for job few are made for business. Those who are made for business they do have their unique ideas to start which might get success if rest of the key factors will take place properly. What are those key factors? What we call this type of business? Here goes the details analysis about it. 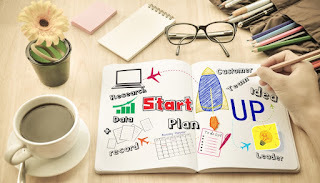 Unique ideas to start a business is called start up business and the key factors for those businesses are locate the right location for the business, arranging funds, target the correct clients, discuss with the business consultants to set up correct goals, requirements to do online & offline marketing for the same. Here goes the detail of these mentioned points. 1. Correct business location: While you are planning to set your business location will take a major part for its success. Because if the business location is properly connected then your carriage or the conveyance cost will be less which will impart on your per price cost. If you can manage to give product in less cost in the beginning then that will attract your clients automatically. 2. Target the correct clients: As your business is a start up business so you won’t target a huge client for huge profit. If you will do so then there will be high chance of failure. The reason behind this is you are new in the market & don’t have any reputation which huge clients are always looking for to do their business. So, try to target small but stable clients to start your business. Here while quoting your price do discuss with your finance team properly. So, here the skilled employee’s knowledge will take place. So, take hiring professional help while building up your finance department specially hiring accountants. Also for financial data to present to the clients bookkeepers will take a important role so that part also you need to take care or discuss with you hiring professional help team. 3. 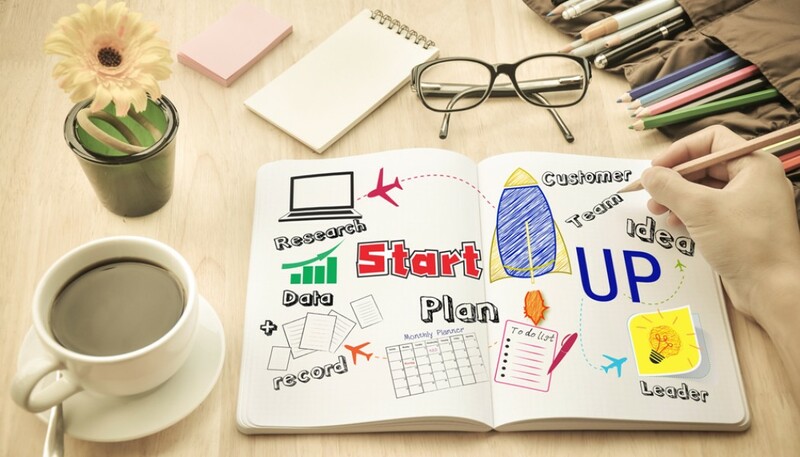 Take assistance from the business consultants if required: You might working on your business ideas for a long but you are coming to the market now. The present market situation is unstable & that is keep on changing very frequently. So, we need proper assistance to get a clear picture on the market & not only that business consultant will tell you whether you are in the right path or not. For choosing correct business consultants you need to survey the market there are many reputed processional business consultants like Trevor McClintock who can help & guide you. 4. Business presence should be properly: Now everyone is using internet so company or the business website should be there. Where company’s contact us page should be proper along with the address. Also few leaflets you can publish to promote your business. 5. Social media promotions: Now social platforms are strong to explore your business & its products. So, you should be available strongly in social media platforms especially in Facebook, Twitter & linkedin. So, I hope these above points will help the start up business owners with this relevant information. From the author’s team of YourFinanceFormulas All the Best to all start up business person & good luck for your future goals. An escrow account is a pass-through account temporarily held by a third party when a transaction between two parties is underway. It is often operational until the entire procedure is completed and all the terms agreed by the parties are settled. Most small business owners may have heard about such accounts but often do not clearly understand its working and benefits. Personal as well as commercial mortgages often require escrow bank accounts for the down payment and closing fees. Selling and buying real estate properties is a long procedure and involves several steps. Furthermore, investments in this sector are large and therefore, using these types of accounts provides security to all involved parties. While purchasing a vehicle or other large assets like equipment or machinery (especially from an individual), using an escrow account is advisable. This is because investing in such assets requires spending a huge amount. Furthermore, the transfer of ownership from the seller to the buyer may be a time-consuming process. Maintaining the cash deposits in such accounts while the procedure is being completed is a safer way and ensures the money is not misused. Individuals undertaking online financial transactions and transfers must use escrow services. This is more important when the users are dealing with people they have never met before. Completing the transaction through escrow service offered by an unbiased third party is safer for both the parties (buyers and sellers). In case a builder avails of construction finance from an institution, the funds are retained in this type of an account. The funds are made available to the builder only as per a pre-determined disbursement schedule. Furthermore, sale proceeds received from the buyers are also retained in this account. These receipts are not provided to the builder until the project is completed. The principals of the escrow service (buyer and seller) mutually agree upon and finalise the escrow instructions. These are often the condition precedents that must be completed before the fund transfer is executed. The information is offered to the escrow officer (loan officer of the bank where the property title is held). On completion of these conditions, the transaction is executed. The responsibility of ensuring that all the terms and conditions have been met lies with the escrow officer before finalising the transaction. When both the parties involved in the transaction have met their obligations, the property or funds held in the escrow account are transferred. Once such transfer is complete, the account is closed. The primary objective of escrow services is the security and safety of the parties involved in the transaction. These accounts ensure funds are transferred only when the parties have completed their responsibilities as per the agreed terms and conditions. The funds are held by a third party until all the conditions specified in the agreement are successfully completed. Using escrow services may seem like an extreme way of protecting the parties during a transaction. However, using these especially for complex transactions involving multiple steps is useful in safeguarding the interest of all the parties.